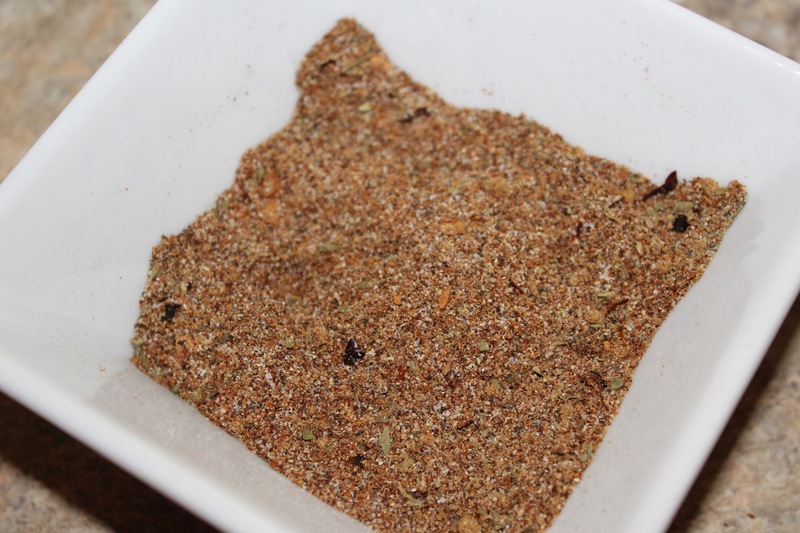 This is a great seasoning or rub if you like it spicy! I use it when I make my Jambalaya. 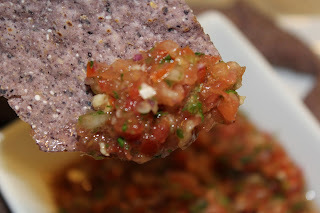 It would also be great for a blackened fish or chicken on the grill. 1. Combine all ingredients is a small dish or jar. Mix or shake well. Store in an air tight container. Perfect quick, crock pot meal for a cool day. All of the prep could easily be done the night before, throw it all in the slow cooker in the morning and you're all set for dinner. 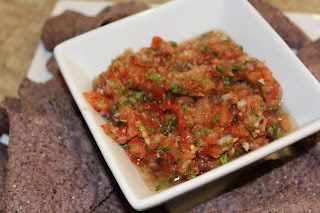 You can make this as spicy or as mild as you'd like. 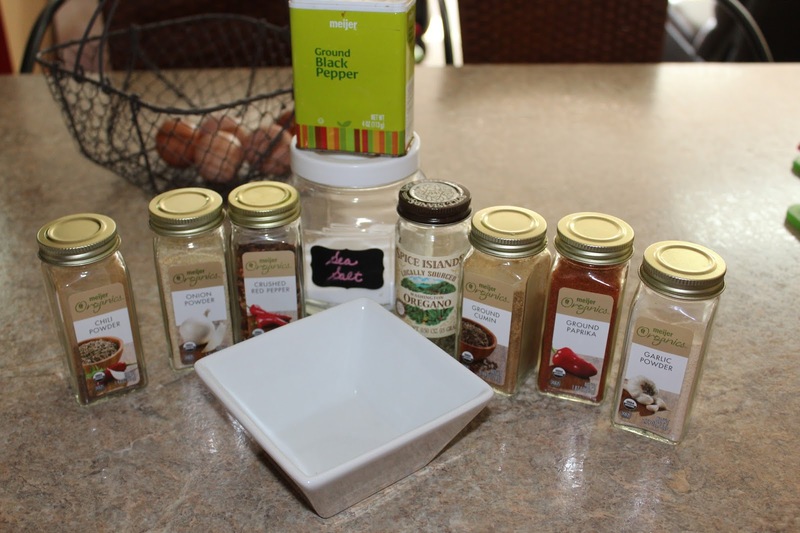 Use any type of Cajun seasoning you'd like - I prefer to make my own. 1. 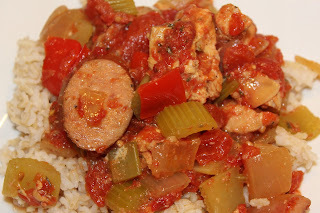 Chop the chicken, sausage, bell pepper, celery and onion into large, bite size pieces and place into a crock pot. Add in everything else except the shrimp and rice. Stir, cover, and cook on low for 6 hours. 2. Twenty minutes before serving, stir in the shrimp. Cook uncovered until shrimp is warmed through. Serve over rice. Enjoy! It's rhubarb season! Yay!!! 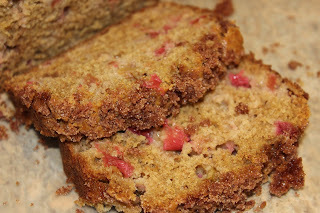 I harvested the first of our rhubarb the other day and couldn't wait to bake up something delicious with it. I had just had rhubarb bread for the first time last weekend at my grandma's house and it was amazing. This was my first time making it, but it won't be my last! 1. Preheat oven to 325. Beat brown sugar and oil until well blended. Stir in egg and buttermilk. 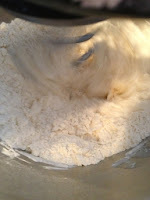 Sift together the flour, salt, and baking soda and mix into sugar and oil mixture. Stir in vanilla rhubarb and nuts. 2. Pour into two greased loaf pans. Mix topping sprinkle over batter. Bake at 325 for one hour or until an inserted toothpick comes out clean. I love hummus. 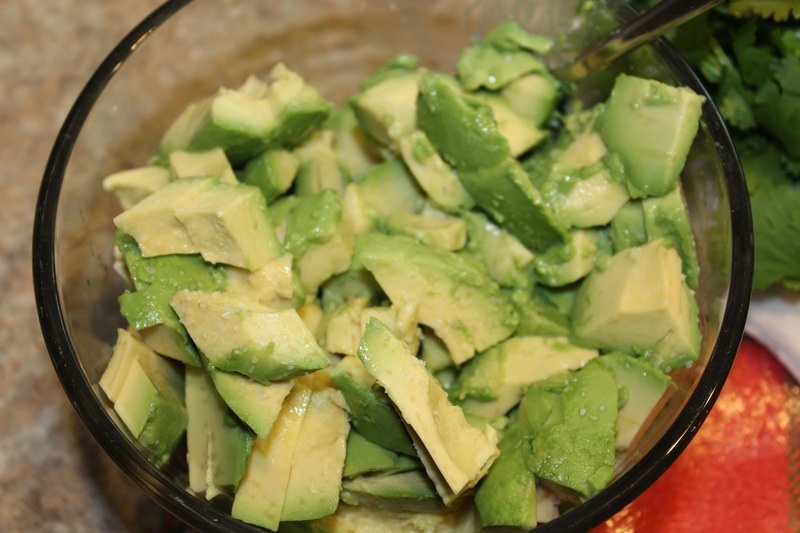 This recipe is so simple, but so delicious. 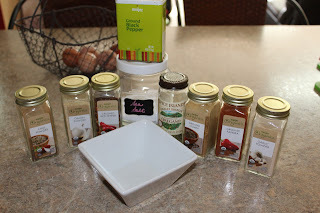 You can add in anything you'd like - cumin, roasted red peppers, jalapenos, or my favorite - roasted garlic. 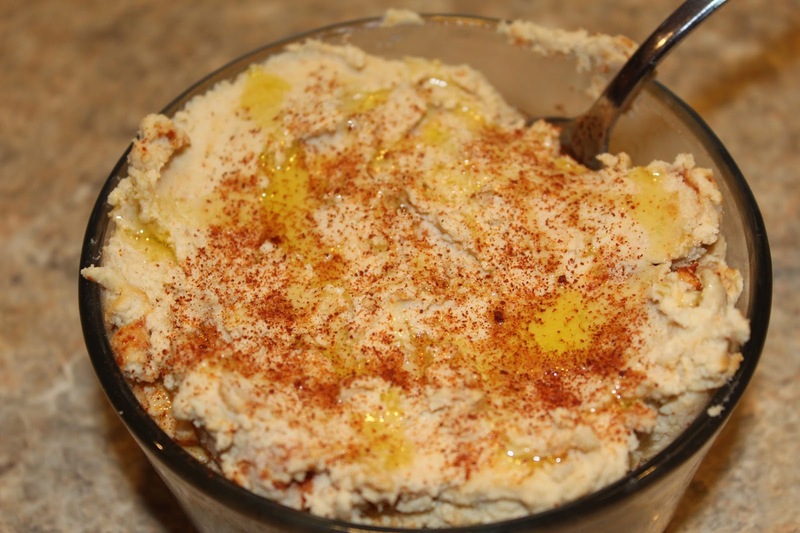 My favorite way to eat hummus is with celery, pita bread or in a wrap with veggies. 1. Combine tahini and lemon juice in a food processor. 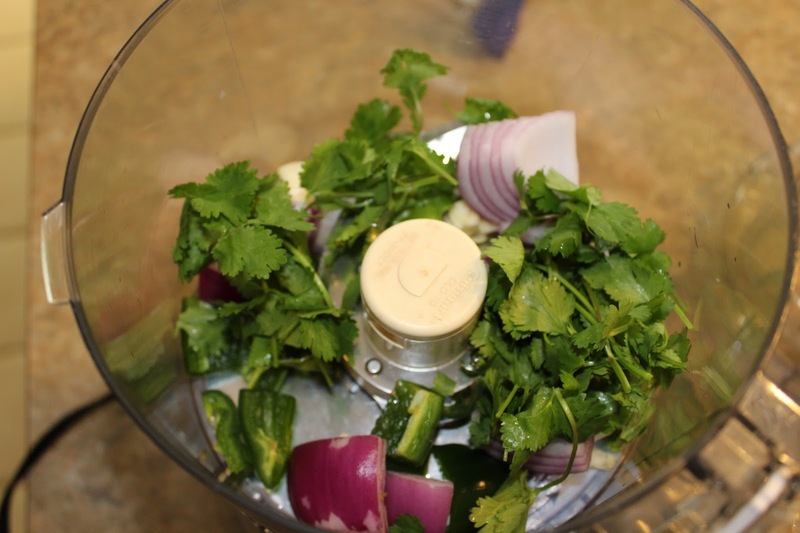 Blend for one minute; scrape down sides and blend for an additional 30 seconds. Add in the salt, garlic and olive oil and blend for another minute. 2. 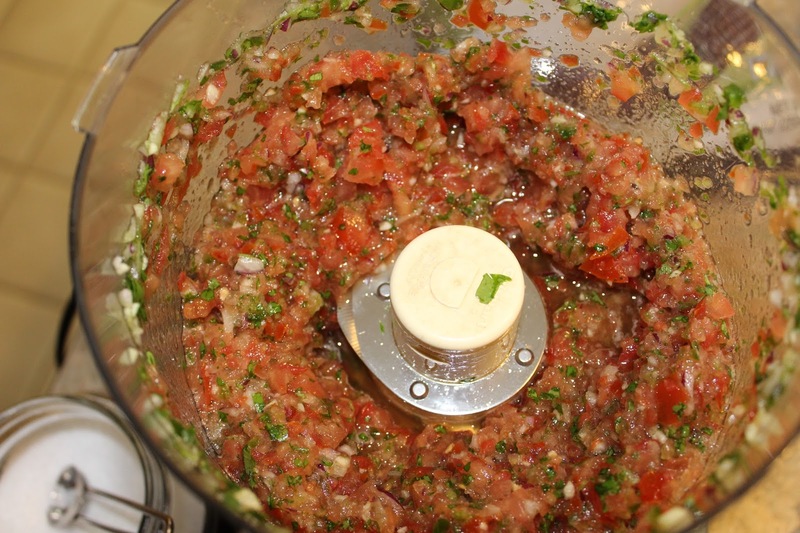 Scrape down the sides and add in the garbanzo beans and any additional flavor you'd like. Process for a minute or so, scrape down sides and continue to process until beans have become a thick paste. While machine is running, slowly add in water until desired consistency is reached. Transfer to a serving bowl and sprinkle with paprika and drizzle with additional olive oil if desired. 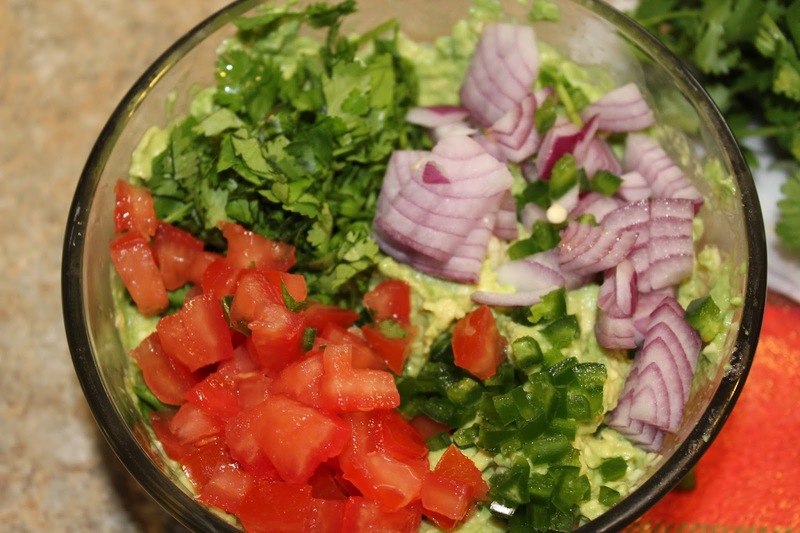 Serve with raw veggies, pita bread, etc. Enjoy! *I've found that I do not need to add salt if I use canned beans. This is one of the top go-to meals here at the Hayes Homestead. 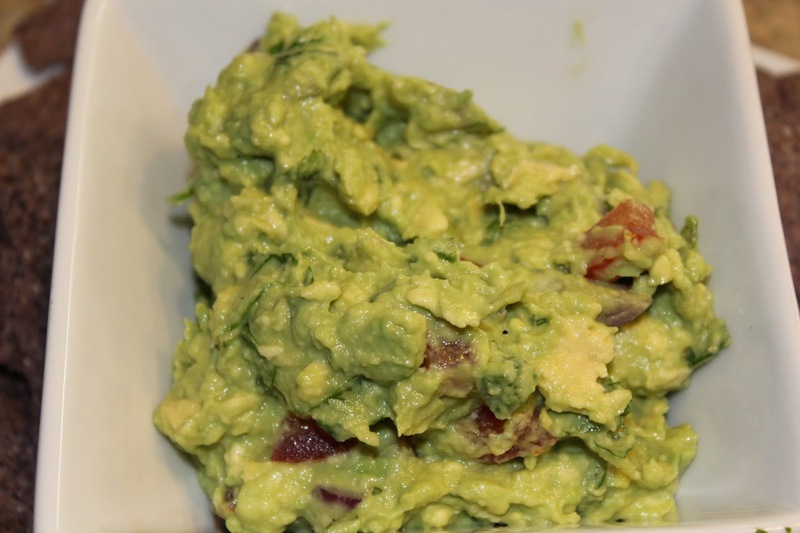 It's super fast, delicious and really filling. It's not too heavy, but makes you feel like you're indulging. 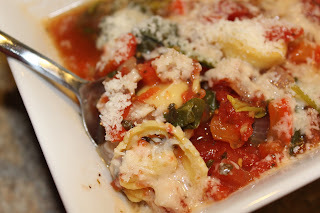 Full of hearty veggies then finished with cheese tortellini. Of course, you could use any type of tortellini you'd like. It definitely hits the spot. 1. Combine all ingredients except ravioli, spinach, and parmesan into a large pot*. Bring to a boil, lower heat, cover and simmer for 30 minutes. 2. 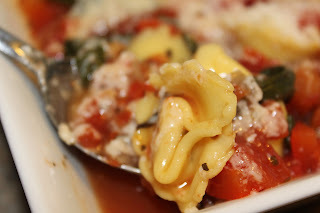 Add in the tortellini and spinach and cook for an additional 10 minutes, uncovered, until the tortellini is warmed through. 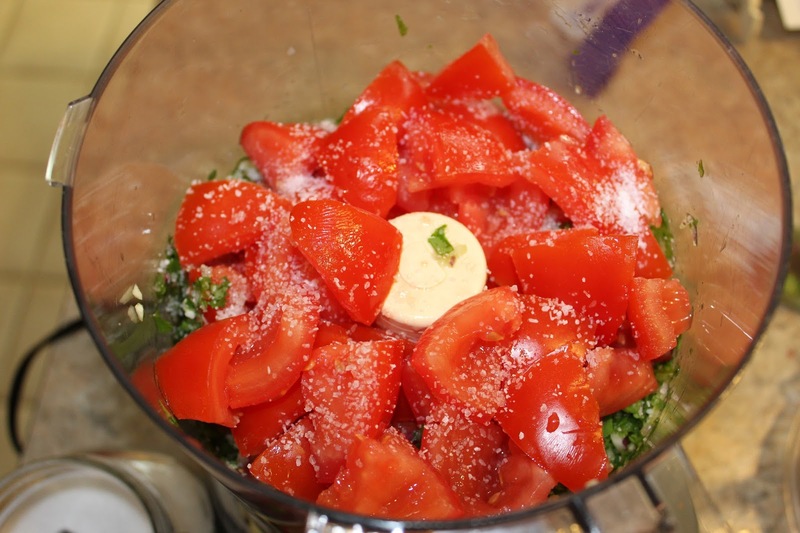 Ladle into bowls and top with freshly grated Parmesan cheese. Enjoy! 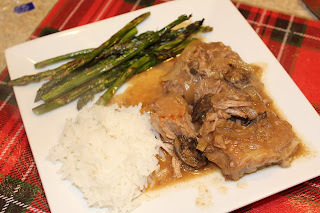 *You could easily make this a crock pot meal - place all the ingredients listed in step one in your crock pot and cook on low for 4-6 hours. 20-30 minutes before you're ready to eat, add in the tortellini and spinach. Are you ready to never want to eat store bought tortillas again? If you're not, I highly recommend never making these because they are amazing. These are so simple to make. 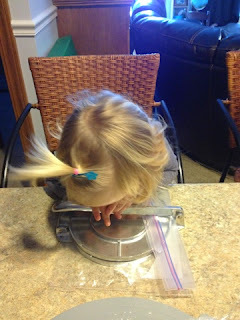 I use my stand mixer (with the paddle attachment) and a tortilla press. 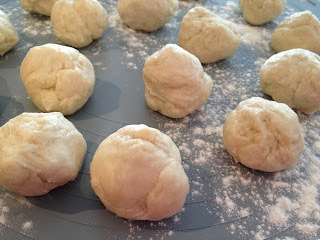 You could definitely make the dough by hand and either roll them out with a rolling pin or flatten them by hand. 1. 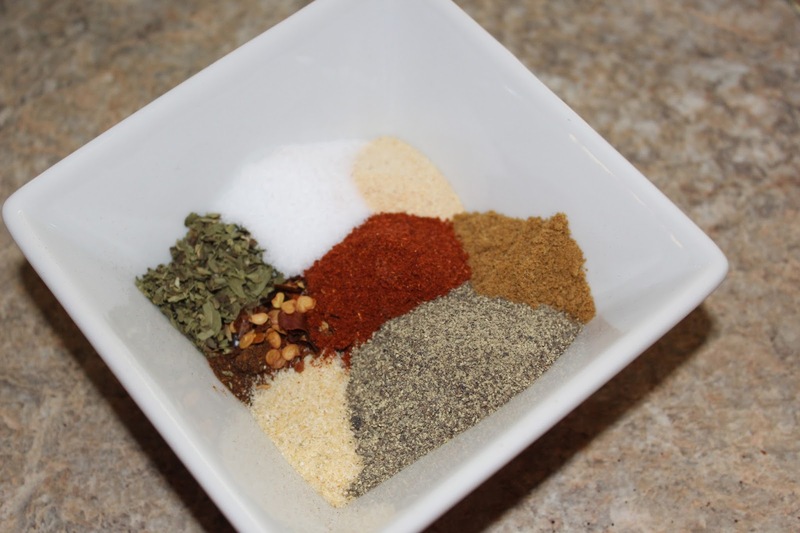 Mix together the dry ingredients until just combined. 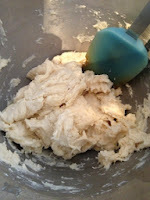 Cut in the butter until the dough starts to look crumbly. Add in the water and mix until the dough comes together. 2. Roll the dough into golf ball sized balls and place on a floured surface. Cover with plastic wrap and let rest for at least 30 minutes or up to two hours. 3. 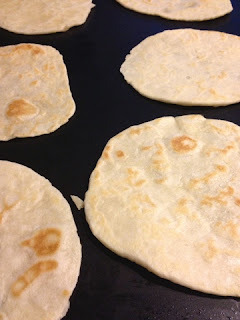 Place a ball of dough between plastic wrap (I like to use a gallon-sized storage bag cut in half) and press it in to a tortilla. Or, if you're like me, have your sous chefs do it! 4. 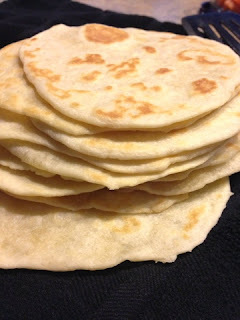 Carefully peel the tortillas from the plastic and place on a hot, ungreased skillet or cast iron pan. Cook for 1-2 minutes per side, until the tortilla begins to brown and char. 5. Remove the warm tortillas and wrap in a kitchen towel while cooking the remainder of the tortillas. Serve immediately and enjoy! 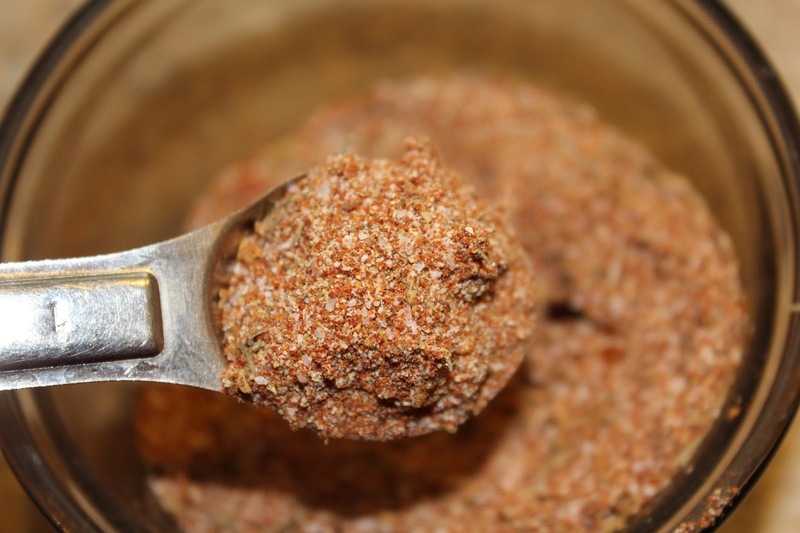 Have you ever read the ingredients in store bought taco seasoning? It should be something so simple, but there are all kinds of things in there that I can't pronounce! And don't even get me started on the sodium content! I started making my own taco seasoning a couple years ago and have never gone back to the store bought stuff. I don't know about your house, but 'round here, Tacos is basically a weekly dinner staple. It's a meal that we all love - I season ground beef for the kiddos and Jason and I season either black beans or refried beans for myself. 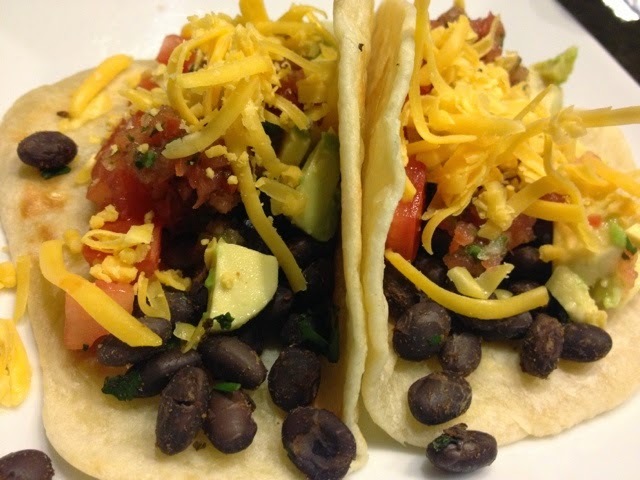 I normally double or triple this recipe when I make it since we do eat tacos so often. 1. Combine all the ingredients. Store in a jar or use immediately. Enjoy! This is the perfect accompaniment for Falafel (one of our absolute favorites! ), Chicken Gyros or Veggie Gyros. I personally love Tzatziki and also use it as a salad dressing or for raw veggies. It's quick to throw together and can be made ahead. 1. Place the yogurt in a fine mesh strainer and allow to drain for at least one hour to rid of any excess moisture. 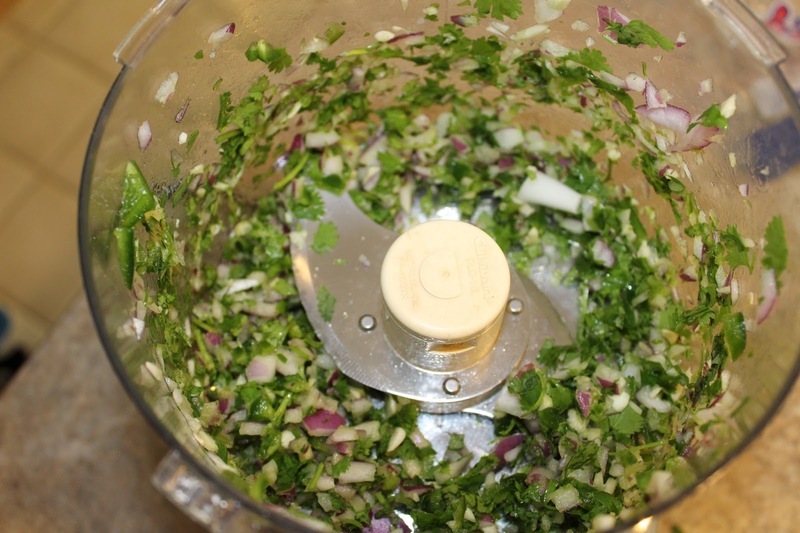 Grate the cucumber or finely mince and also place in a fine mesh strainer or a paper towel-lined colander. Sprinkle the cucumber with salt to drain any excess water - drain for at least one hour. 2. 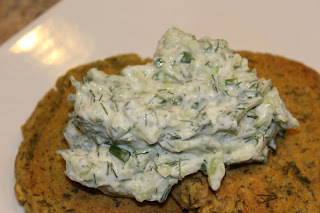 Combine drained yogurt and cucumber, garlic, lemon juice, dill, chives and season to taste with salt and pepper. Refrigerate for at least 1 hour before serving. Garnish with additional chives and dill if desired. Quinoa is something that I really should make more often. 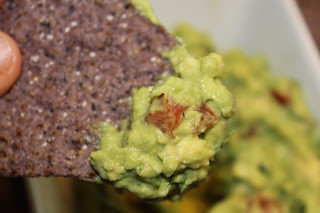 It's so versatile and such a great source of protein for vegetarians (like me!). 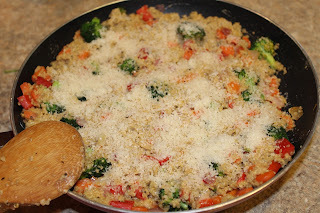 This recipe has just the right amount of cheese to make it creamy, lots of veggies and it tastes delicious! This is a great way to use up the odds and ends of last weeks veggies in the fridge. This time I used carrots, red bell peppers, broccoli, and red onion. Use whatever you have on hand! 1. In 2-quart saucepan, heat quinoa, water, and bouillon to boiling. Reduce heat; cover and simmer 10 to 15 minutes or until all broth is absorbed. 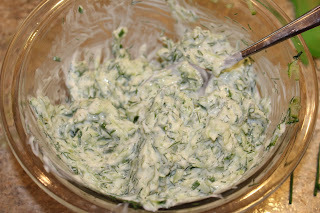 Stir in cream cheese and basil; cover and remove from heat. While quinoa is simmering, chop veggies into bite sized pieces and mince garlic. 2. Heat the olive oil over medium heat. Add the veggies and sauté until crisp-tender. Add in the garlic and sauté for an additional 2 minutes. 3. 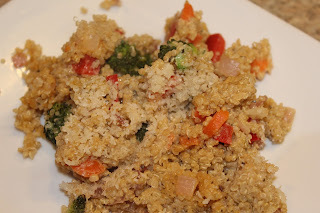 Add the quinoa to the veggies and combine. Sprinkle the parmesan on top and serve. 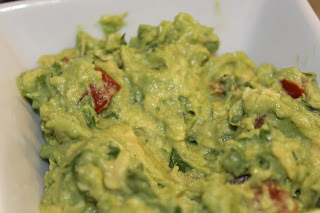 This is a great, few ingredient, quick meal to throw into the crock pot on busy days - it could even be prepared the night before. It's not the prettiest meal, but the flavor makes up for it. 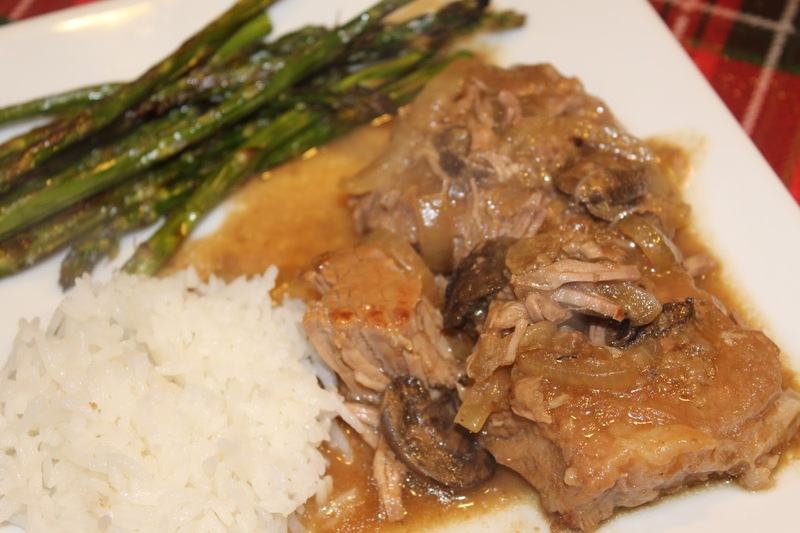 I loved Swiss Steak back in my younger, carnivorous days. It's even better the next day as a Swiss Steak grilled cheese. 1. Heat 1 tbsp olive oil in a large pan until near smoking. Combine the flour, salt, and pepper on a large plate and dredge half of your steak and place in the hot oil. Sear on both sides until nice and brown, 3-5 minutes per side. Repeat with remaining oil and steaks. 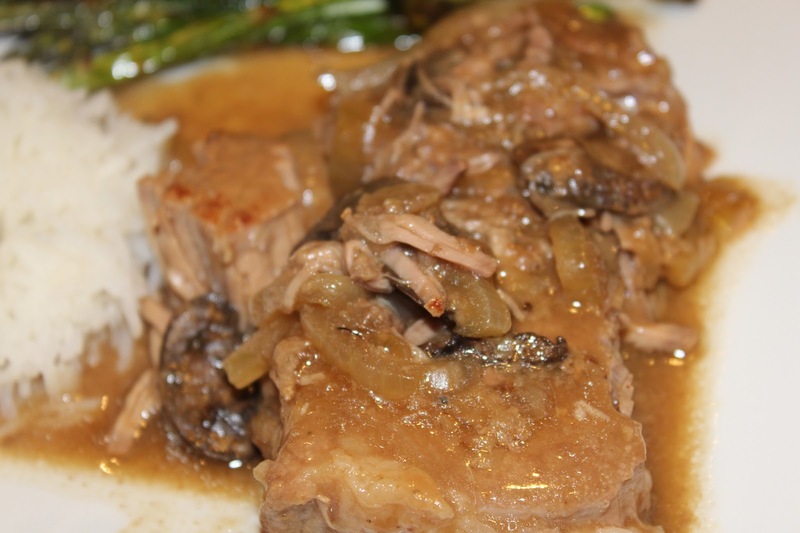 Place browned steaks in a large crockpot. Place the mushrooms and onions on top of the meat. 2. Add the beef stock or wine to the pan to deglaze - scrape all of the bits off of the bottom and bring the liquid to a gentle simmer. Once all the bits have been scraped up and the liquid is hot, pour over the beef, mushrooms and onions. Cook on low for 4-6 hours or until the meat is tender. 3. Thirty minutes before you're ready to serve, ladle out about 1/4 cup of the liquid from the crock pot. In a small bowl whisk in the cornstarch to the hot broth to form a slurry. Pour the slurry into the crock pot, turn it to high and angle the lid so that it's not on tight. This will give the gravy the ability to evaporate and thicken up. Serve and enjoy! 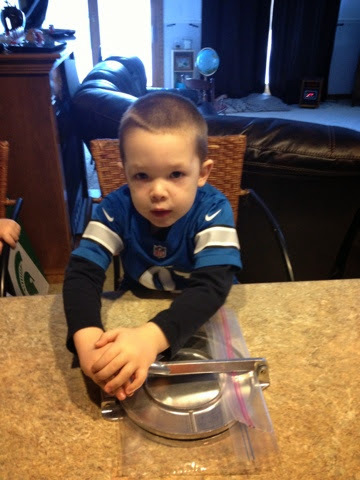 On the first of every month, my girl Marie, over at Family and the Lake House, and I get together to host a fun link-up party. We want to know - what are your goals for the month of May? Big, small, it doesn't matter. Your goals could be any and everything. Maybe you want to cut out fast food, keep a clean kitchen, exercise more, not go shopping, organize your pantry, etc. The possibilities are endless! 1. Get Back to my Workout Routine. I'll be honest. I'm struggling with this! I've been back to the gym, but my diet is not where it should be, but I'm working on it! I'm still up a few pounds from vacation. It didn't help that I missed almost 2 weeks of the gym due to household sickness. 2. Have a Great Birthday. Check! It was a great day - and you can read all about it! 3. Start Spring Cleaning. I have! I started our linen closet and have scrubbed a few other places that definitely needed scrubbing! 4. Garden Prepping. We are chugging right along with this! Jason has built us a little greenbox that we have seeds starting in, I have been working on weeding our perennials, and Jason built an interior fence in the garden and has been busy putting up fence posts for our chicken run expansion. Get back to my pre-vacation weight. I'm not normally one to put a time limit on a certain number of pounds I want gone, but I know my body can do it. I've been there before, time to be there again! By the end of May our garden should be planted and (hopefully) thriving!! We should also have our fruit trees in this month. We are SO excited for our little homestead this summer!! Cleanup and Update this Blog. I was looking through here the other day and realized that some of my info on here is verrrry outdated. Time to get it up to date. 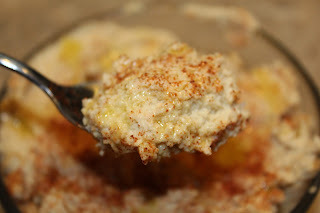 I also started a Recipe page and need to move some of my favorite recipes from my food blog, The Carnitarian Family, over here. That's it! Keeping it short and sweet this month. Do you have any goals for the month of May? Please link up and share them with us! !